They say never work with children or animals… Tim Farron learnt all about that in Cambridge on Thursday. He was on a visit to support local parliamentary candidate Julian Huppert, Mayoral candidate Rod Cantrill and candidate for South Cambridgeshire Susan Van De Ven. Bonnie the Liberal Democrat cockapoo captured the spotlight and was voluminously photographed by Getty Images. Please use the arrows above to flick through the slide show of this canine campaign coup. There are some fantastic, smiling action photos coming out from Lib Dem campaigners this weekend! The Liberal Democrats have committed to ending the scandal of rough sleeping in Britain, as the Homelessness Reduction Bill enters into force today. Following a campaign visit to the Hundred Houses Society, a charitable housing association in Cambridge, Tim Farron announced a series of measures the party would put in place to help end rough sleeping. These include introducing a Housing First provider in each local authority, to put long-term homeless people straight into independent homes rather than emergency shelters. Other policies include increasing funding for local councils for homelessness prevention, reinstating housing benefit for under-21s and reversing planned cuts to Local Housing Allowance rates. This is a good reason to be very proud of our party. Making this commitment is a big deal. Housing is a basic human right, and we are right to base our policy on that. We know what happens to people who stay in the middle of the road. They get run down. We have reason to be cautiously optimistic about the forthcoming elections. Campaigns, of course, are already up and running across the country for the May 4th local elections, but Theresa May’s announcement has given even greater impetus to Lib Dem activists across the country. This is a devastating blow to Theresa May’s hard Brexit plans. Yet another claim by the Brexiteers, that Britain would be at the front of the queue for a trade deal with US, now lies in tatters. 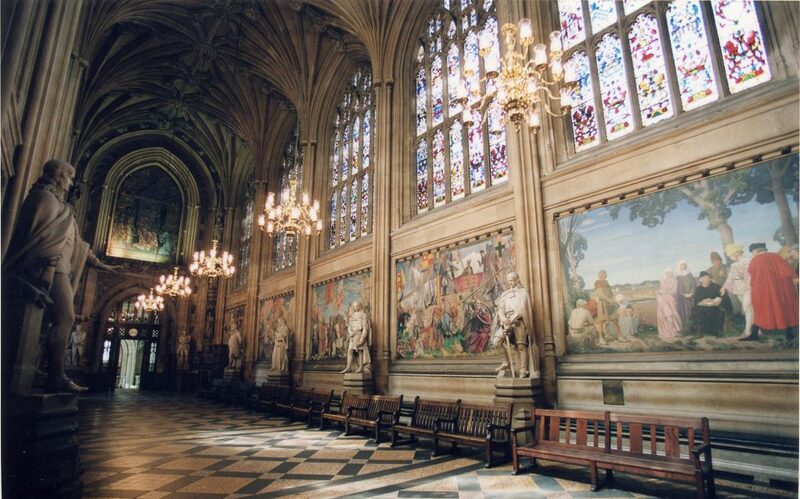 Does Parliament have the plushest waiting room in the world? Despite understandable security measures, it is still easy to visit the Houses of Parliament and watch the proceedings. I went there this week. You basically present yourself at the Cromwell Green entrance, which is halfway along the building by the big statue of Oliver Cromwell. At the gate, they tend to ask you why you want to come in – but you just have to say “I want to go to the public gallery of the House of Commons (or Lords)” and they’ll let you in (having checked that the queues are not too long). You then get given a green card and are seen by a policeman who gives you a little briefing. You then go through the inevitable airport security check and you are in. It’s worth noting that it is your right as a citizen to enter Parliament and ask to see your MP at the central lobby. You are advised to book an appointment with your MP for such a meeting, but you don’t have to. Of course, he or she might not be in Parliament if you turn up unannounced, but all UK residents have a right to walk into parliament for such a purpose or to watch proceedings.